Is this Wise or Otherwise? Jos. Still on my mind. Just today, the Police has finally been able to draw up a list of 162 people to prosecute for the massacres in Jos. What I find most interesting are the offenses for which the suspects are being 'prosecuted'. - 82 would be charged with unlawful possession of firearms, rioting and "mischief by fire"
Terrorism? Culpable homicide ? Pray, how many will be charged with 'Murder'? None. 'Mischief by fire'; is that the same as arson? Maybe not. No wonder nobody seems interested in the trials, if ever they actually take place. From the onset, we have refused to call a crime by its name; we glorify criminals and call them 'muslims' or 'christians'. I am not sure if we have learned anything from all these killings and a people who would not learn from their history, are bound to repeat. 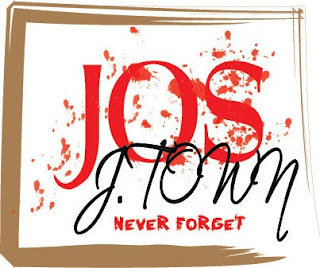 Will we ever forget what happened in Jos? Unfortunately, yes. Sooner than later, we will. Did we not forget Ife/Modakeke? Aguleri/Umuleri? and the many wars of the Ijaw/Itsekiri/Urhobo? "I am not sure if we have learned anything from all these killings and a people who would not learn from their history, are bound to repeat." I totally agree but I think we wont forget in a hurry this time.. because enough is enough..
Long time though.. where have you been? the question is: will they prosecute? do they ever? is it not the ineffectiveness of law enforcement that feeds this lawlessness? @Jay: History always does. Every single time. Many thanx for your comment. @2cute: problem is that we always forget. Some say the forgetfulness is part of the healing process. Will check out the site though. many thanx. @hisTreasure: For as long as no one gets punished for these crimes, others are bound to repeat them some time later and that is the tragedy of our situation. But if some people are punished this time around, another group will turn around and want justice to go back in history, that's usually where the panels and tribunals get stuck. IMHO, what is required is the political will to say enough is enough. If this present set of perpetrators are punished, maybe it will open the floodgates and encourage other people who had been victims in the past to come up and demand justice. I guess that's what the politicians are trying to avoid by sweeping these massacres under the carpet every time. We play politics with the lives of women and children. Unfortunate but true. Many thanx for your comments. @Myne: Some say the list is just to douse tensions and pretend that something is happening while nothing really is. It is part of the 'forgetting' process. Very soon, we will stop asking questions and everybody goes to sleep ... until the next massacre. The charges are at best ludicrous. For GOD's sake, what is 'mischief by fire'? Arson is arson. I wonder what section of the Nigerian Criminal Code addresses 'mischief by fire' and what is its punishment as compared to arson. The thing tire person sef. Somehow, "mischief by fire" sounds like what you would label the actions of schoolboys trying to smoke out a rat in the bush. Not fully grown, wicked murderers. The general public may forget, but those who were directly affected will live with the memories forever. wen i started reading this post, i was like 'good, some justice! ', but my high hopes were quickly dashed. really, it doesn't make sense! for crying out loud, cold hearted murder, or how dem dey say am 4 movies, first-degree murder was committed. this is just rubbish! & it's true. tribal/community wars of d past have now been forgotten. I do remember d days of all d ones u mentioned though. Jeez! But @ least, it gives us hope dat d Jos situation will not lead to a civil war for d entire naija. IMO, The list is just another diversion. typical Nigerian style of sweepig serious matter under the carpet and then ultimately onto the dunghills of history..
Whatever happened to Clifford orji? what happened to the EFCC files that waziri claimed didn't exist? What happened to the investigations of the numerous killings that have happened over the years due to politics and polemics?? It may sound like a myth, but sometimes injustice still do happens in this modern world.